Burn Baby Burn: A YA (Recent) Historical Fiction Top Book of 2016 Pick! I’ve got another one for you folks! Today’s Top Book of 2016 pick is one that I don’t like to think of as “historical” fiction, given that it’s set in the 1970s, but when you realise that is nearly forty years ago (!!) it definitely qualifies. We received Burn Baby Burn by Meg Medina from Walker Books Australia for review and were drawn in by the tumultuous historical and social setting, as well as the fact that Brisbane’s never-ending summer this year neatly reflects the sultry atmosphere of New York in 1977. Well, that and the fact that I am intrigued by the dance move that you humans call “The Bump”. Award-winning author Meg Medina transports readers to a time when New York seemed about to explode, with temperatures and tempers running high, to discover how one young woman faces her fears as everything self-destructs around her. As far as YA fiction goes, this is a finely honed piece of writing. Meg Medina is obviously a writer who knows how to craft a believable, absorbing story with perfectly timed pacing and no filler. Everything in this book is there for a reason and the various aspects – romance, family drama, social issues, friendship – are deftly balanced, resulting in a sense of authenticity that takes in the setting, the period and the characters. Nora is an incredibly genuine representation of a seventeen-year-old woman from a poor family attempting to be pragmatic in a difficult situation. A contributing factor to this sense of unfeigned teenage struggle is the fact that the author herself lived her teenage years in New York in the 1970s. You don’t often see characters that are so deeply explored in young adult novels and Nora is a standout. The parts referencing the Son of Sam killer are actually quite creepy. Medina has captured the feeling of terror that would have no doubt flitted through the minds of young couples as they emerged from the cinema or disco, or sat together in a car during the time the killer was on the loose. If Nora is a standout character, she is flanked by a strong supporting cast who are equally believable. There’s her friend Kathleen, who, despite having been best friends with Nora since childhood, is just far enough outside Nora’s social sphere that she misses the cues of violence and poverty occuring in Nora’s family; there’s Hector, Nora’s younger brother, whose personal growth throughout the novel more closely reflects a downward spiral; Stiller, the no-nonsense, feminist, socialist, advocate (the shelf’s favourite character after Nora! ); and the collection of local shop-owners, landlords, school teachers and public servants who round out the community and add to the feeling of realism. I had a good think after finishing this book and even put off writing this review for a few days to gauge whether my initial impression of the book waned after a period of reflection. I can honestly say however, that there is nothing about this book with which I am dissatisfied. The writing, the characters, the setting, the pacing – all of these contribute to the overall quality of the reading experience and I will definitely have to keep an eye out for Medina’s other works from now on if this is any indication of her talent. 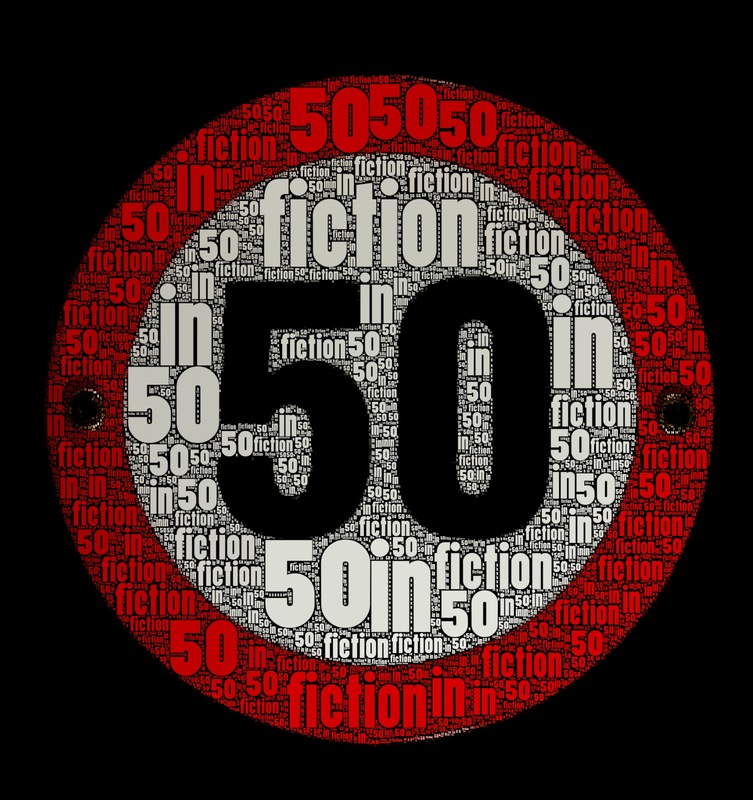 Fiction in 50 May Challenge! 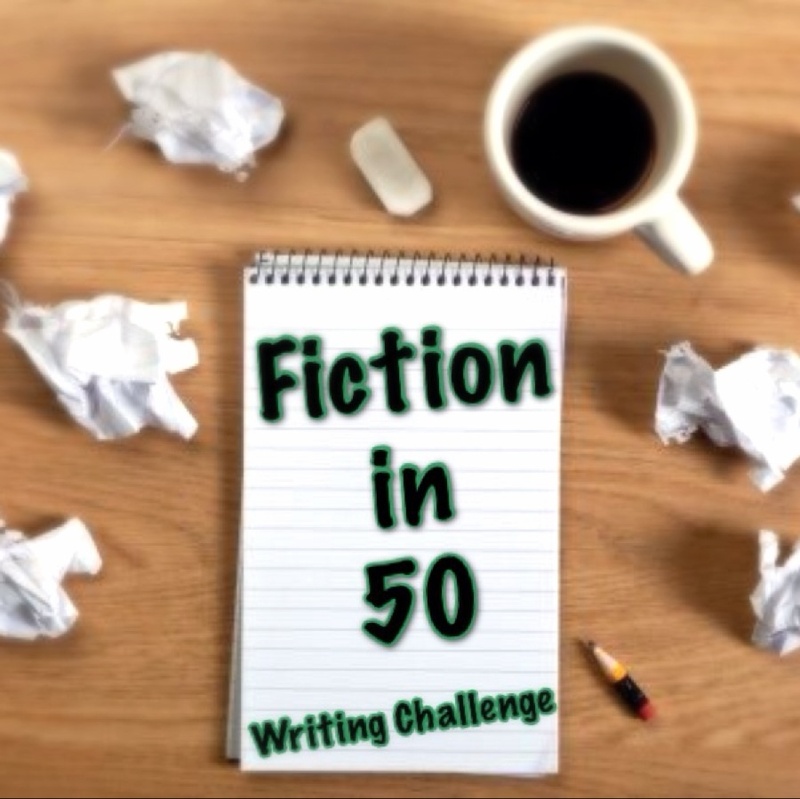 It’s Fiction in 50 time for May and our challenge prompt this month is…. To play along, just create a piece of fiction or poetry in fewer than 51 words, post it, then pop a link to your post in the comments. 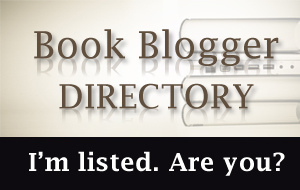 For more detailed information, just click on that attractive button at the top of this post. He wasn’t sure he was ready for this strange new world. Splash into Summer Giveaway Hop (in winter) …and a Fi50 reminder! Given that my shelf is located in a place where we enjoy (suffer would be the better word) temperatures in the 30s all year round, I thought it would be a reasonable action to join in with the Splash into Summer giveaway hop hosted by Bookhounds and running from May 28 – June 8th 2016, despite the fact that we’re only days away from winter here in Brisbane. If you’d like to participate, just create a piece of fiction in fewer than 51 words, post it and link back to it in the comments of my post on Monday. 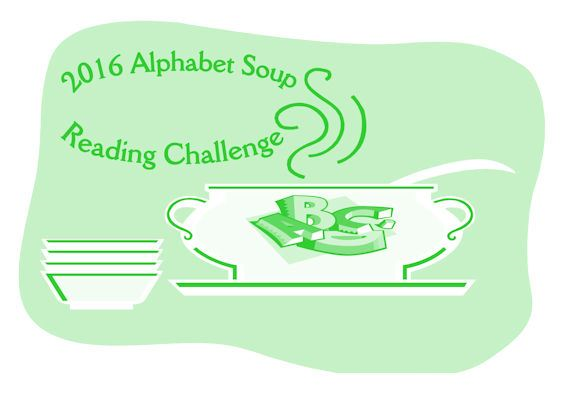 For more detailed instructions and future prompts, just click here. From the dawn of time to the first civilizations, we look at the events which took place over the course of the first millennium; events which shook the world and changed the course of history. Using LEGO bricks, artist Warren Elsmore and his team recreate stunning historic scenes, from the beginning of life in the pre-historic era right through to the inauguration of Barack Obama. Brick History is a celebration of humanity and its achievements, and of moments in time that changed the course of history. To faithfully recreate each scene or image, Warren uses only standard LEGO bricks-and a lot of imagination! Choosing the right piece, color or orientation is crucial to this process, enabling the models to reflect the spirit of the time through these iconic plastic bricks. As the book walks through history, the LEGO recreations draw from a 60-year history of the toy itself and tie into many of the company’s most popular themes. In this way, Brick History reveals the adaptability of LEGO to its full extent. Whether you are a fan of LEGO, interested in world history, or just fascinated by the use of LEGO as a modeling medium, this book promises to take you on a fascinating journey into the past and around the globe. What an awesome concept for a book! We were palpably excited on seeing this title come up in the catalogue and couldn’t wait to flick through its attractive, easy-to-hold, fully illustrated format when it arrived. This is going to be a no-brainer success for anyone, young or old, who enjoys Lego. Obviously, the focus of this book is on historical events, but we were surprised (and delighted) to note that in between the historical depictions are instructions on how to make various related items, including but not limited to, a tiny model of the RMS Titanic, the aforementioned orrery, an Egyptian shadow clock and a brickish representation of Mahatma Gandhi. The choice of these DIY models is inspired, because many feature building techniques that the run-of-the-mill Lego enthusiast may not have previously encountered, including how to create curves using straight bricks, and methods of building that allow for multiple changes in colour in a limited space, for instance. I can imagine young builders really getting stuck into this title and developing their building skills quite quickly, before going and showing off to their friends. The beginning of the book also features some handy notes on how to take photos of your completed models to show them off in their best light. The only problem I had while reading is that the historical events selected here are very America and Euro-centric. Obviously, in covering everything from the Big Bang onward in a finite amount of pages, there has to be some subjective selection regarding what gets put in and what gets left out. I was disappointed though at the lack of events from outside Europe and the US. For Asia, India and Oceania as a whole, we are only treated to six events out of seventy-six and of these, only the construction of the Terracotta Army and the handover of Hong Kong back to China (itself a Euro-dominated event) are depicted as a double page spread; the rest are given in instructional format. Africa is only represented in the election of Nelson Mandela as president of South Africa and again, only in an instructional format, rather than as a historical scene. Other readers may not even notice this, but I would have liked to have seen a broader scope of human history represented here. Despite that small disappointment, this is still a ripping tome that will have adventurous builders busting out their obscure brick pieces and getting to work. I’d definitely recommend grabbing this one for your permanent shelf while I seek out the already-published titles in Elsmore’s series: Brick City, Brick Wonders, Brick Vehicles and Brick Flicks. As UK middle grade reads go, this one is quite original. If you discount the oft-used “child coping with the death of a parent” storyline, there is plenty here that goes beyond the usual bounds of middle-grade fare. We’ll discuss those bits more in the “quirky” section though. Albie is a character who will resonate with many readers; a young man trying hard to honour his mother’s memory, while his father just works to forget. 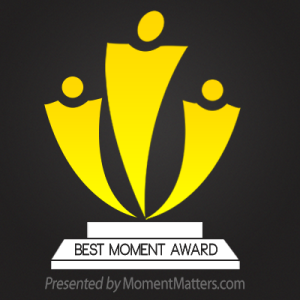 There are a number of competing themes going on here including family realignment after the loss of a parent, dealing with grief, finding one’s purpose and challenging accepted boundaries of thought. The pace of the book is even, with an episodic plot that follows Albie as he hops from one world to another. I particularly enjoyed the character of Alba and her interaction with Albie and would have loved to have seen more interactions like this throughout the book. There was something missing throughout this book for me and I suspect that the missing something was a strong supporting character. For much of the book Albie goes it on his own, so the narration comprises a lot of Albie telling us what’s going on or relating his thoughts without much to break this up. A bit more banter between Albie and …someone…would have made the book a bit pacier and more engaging in my opinion, and allowed for a bit of unexpectedness in a plot where the reader suspects everything will turn out in the end. I also had a problem with the straightforward way in which Albie manages to solve all the problems of inter-dimensional travel without much effort. The plot is full of complex, nebulous scientific ideas that even proper scientists have trouble with, but Albie’s scientific problems – such as getting from one world to another and how to get home again – are solved by accident or dumb luck. I felt that the author couldn’t quite decide whether this was supposed to be first and foremost a book about science and parallel universes, or a book about grief and personal growth, so left both plotlines a little underdeveloped in order to manage such big ideas in a book for young readers. I can safely say that this is the first time I have encountered such a focus on science in a middle grade fiction offering. Throughout the story many theories, experiments and facts are brought up – including, but not limited to, the Large Hadron Collider and Shrodinger’s Cat – and this will really appeal to those young readers who can’t get enough of science fact and how it might be imagined as science fiction. I can imagine that after reading this book at least one kid (or adult!) will grab a bunch of balloons and their younger sibling’s favourite toy and attempt to launch the two into space. Overall I enjoyed this book but not nearly as much as I expected I would. I was hoping for a little more challenge and struggle in Albie’s journey toward healing, and a little more zany danger in his romp through the unknown universe. It is certainly an ambitious undertaking to attempt to blend high level scientific concepts with the enormity of a child’s grief, but for me it didn’t quite hit the mark. I certainly enjoyed it while I was reading, but I don’t think it will be one of those books that makes it into the regular rotation of books I recommend to others. Unless they’re looking for a middle grade read featuring cats that are simultaneously dead and alive. Shouty Doris interjects during….Lily and the Octopus! Doris and I are with you today to discuss a new release contemporary novel that features some major elements of magical realism and at least one characterful dog. As we all know, Shouty Doris is a big mouth a blabberchops free with her opinions, so I’m warning you now, this review may contain SPOILERS. You have been warned. So Lily and the Octopus centres around young man and his relationship with his aging dachshund, Lily. Things are going mediocre-ly for Ted, when he discovers an … octopus… on Lily’s head. Octopus indeed. He’s not fooling anyone. Yes, well, I’d have to agree with you there, and I don’t think it’s particularly a spoiler to say that the octopus is not a literal octopus but a figurative one, indicative of the fact that Lily is sick. Possibly life-threateningly sick, as frequently happens with pets of a certain age. The point is, Ted refers to this …thing.. as an octopus for almost the whole book and even ends up having conversations with it. Therein lies the magical realism in the story. Therein lies the lunacy more like. That Ted needs to get out more. He’s far too co-dependent on that dog if you ask me. A grown man, too. Ted is indeed very invested in his relationship with his dog. He is in between romantic relationships and on discovering the cephalopodic threat to Lily, begins to withdraw from his friends even more. 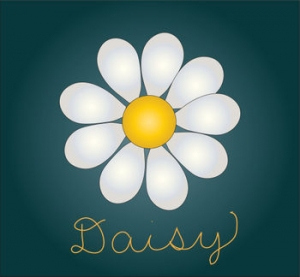 As the book continues, we discover more about the back story as to how Ted came to be Lily’s owner, and a previous life-threatening illness that Lily overcame. We are even privy to his weekly battles with his therapist, Jenny. Why on earth would you waste money on a therapist for whose opinion you are indifferent? He has more money than sense, that Ted. Anyone who spends money on inflatable sharks needs their head examined if you ask me. All my points are good points. – no – but I found it to be a bit much for my tastes. It is certainly the most action-packed part of the book and an important turning point for Ted, but by that stage, I knew what the outcome was likely to be, had accepted it, and was just waiting for Ted to do the same. THANKS DORIS! I think I hear The Bold and the Beautiful starting! I’ll shut the door so we don’t disturb you! Alright, Ridge-y boy, come and tell Doris all about it. Right, now she’s gone, we don’t have to worry about major spoilers. Although…I have to say that overall, I didn’t particularly connect with Ted as a character, despite his everyman status, apart from the shared experience of pet ownership and the inevitable existential angst – for ourselves or by proxy – with which many of us grapple. I did find this to be an interesting, if not riveting, read and enjoyed how the author at least took a risk on the magical realism aspects to explore the more depressing parts of human existence and its inevitable finality. The ending is hopeful and quite charming really, so if you are a fan of subtly humorous ponderings about the looming demise of each of us as individuals, and you love a cute dog story (for Lily truly is a little cutey, with a distinctive voice) then this would be a great pick. 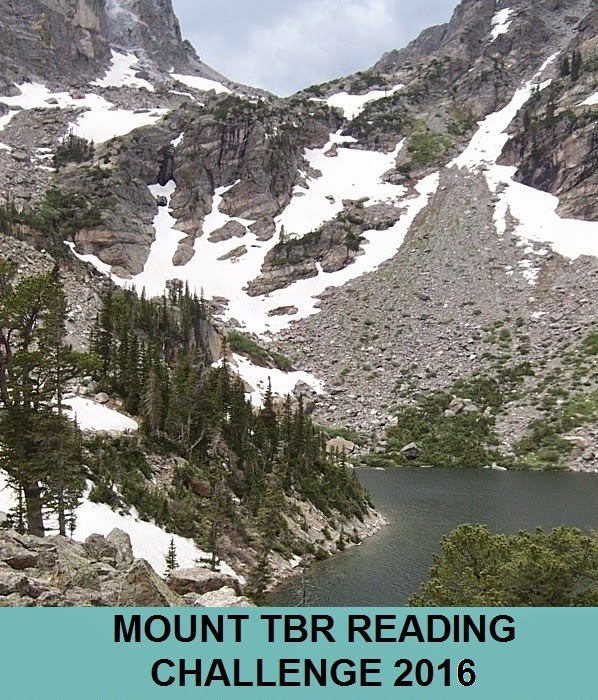 I’m slowly edging my way up that mountain and this month I’ve knocked over another one of those books that I just had to have the second it was published, only to leave it languishing on the shelf for months. 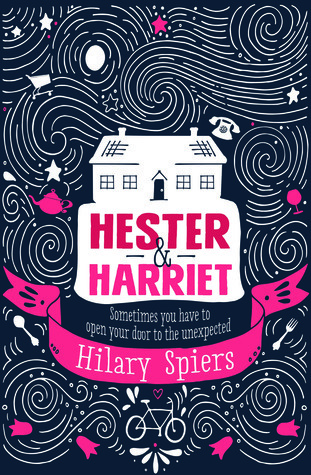 Hester and Harriet by Hilary Spiers was touted as a feel-good hit at the end of 2015 and I did everything in my power to obtain a copy for free on or before the release date – through competitions, requesting from the publisher, you name it! – before I gave in and just bought it. Let’s check it out. Hester and Harriet, geriatric sisters, offer refuge to a young woman and her baby in an attempt to get out of having Christmas lunch with odious relatives. When their young nephew Ben turns up also requesting sanctuary, the term “silly season” comes into play, as the ladies and their charges grapple with international migration laws, ridiculously named private detectives and cleaning up after oneself in the kitchen. I can’t trace this exactly because I can’t remember where I bought it, but I suspect since late December 2015. The plot is perfect for an extended holiday or beach read. 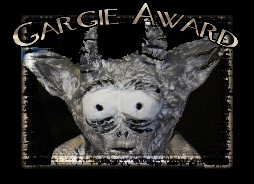 Nothing too untoward happens and there are lots of quirky characters to get behind. Finbar, the homeless classics master. He was quite refreshing in his scenes and a handy source of new information. I couldn’t tell the difference between Hester and Harriet. One is good at cooking and one gets quite shirty about Ben using the kitchen (this is possibly the same sister), but given the two “H” names and not much of a difference in personality or manner between them, I just thought of them as a conglomerate old person spread over two bodies. Finbar, the homeless classics master. As well as being refreshing, he was also excessively verbose and a great candidate to have “GET ON WITH IT!” shouted at him. The more prudent part of my brain says that we would have enjoyed this just as well had we borrowed it from the library. The generous part of my brain says that at least we can now make someone else happy by passing this impressively large and attractive paperback on. 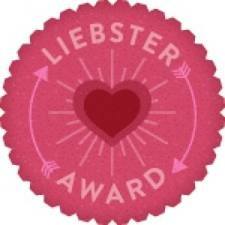 It has already been passed along to someone who should enjoy it.